Tom Sizemore Sentenced To Jail. Update. Tom Sizemore’s 16 month prison sentence was cut in half today, giving him credit for time already served. No matter how long or short his stay in jail is, I hope it truly helps. 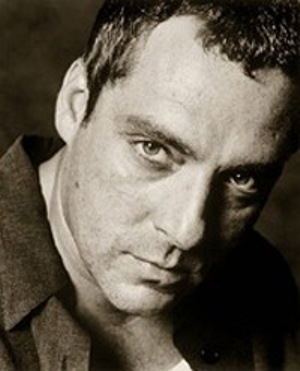 Tom Sizemore is a great actor who was brought down by the evils of methamphetamines, but he’s still young enough to make a complete change and rise to the ranks of stardom once again. He attended an all-boy Catholic high school filled with wealthy kids, and fast crowds. His friends were all either jocks or stoners who started using cocaine and falling into troubled times. Tom has been married once, to Maeve Quinlan, from September 1996 to November 1999. He admits to being under the influence of crystal methamphetamine during the filming of five of his biggest movies, including Black Hawk Down and Saving Private Ryan. Tom feels that doing homework is critical in perfecting his roles. For his role in The Relic he met with curators and scientists to learn more about the research behind public museum exhibits. Tom received the Best Actor award at the Madrid Film Festival in 1997 for his role in The Relic, and was nominated in 1998 for the Blockbuster Entertainment Award Best Actor in a Horror movie for the same film. His nose was accidentally broken by Juliette Lewis during the filming of the prison cell fight scene in Oliver Stone’s Natural Born Killers (1994). previous post: Paris Hilton Released From Jail. Again. next post: Paris Hilton Lies To Larry King. 51 queries in 1.608 seconds.